WE set the standard with high quality dimple jackets for your DIY tank fabrications! 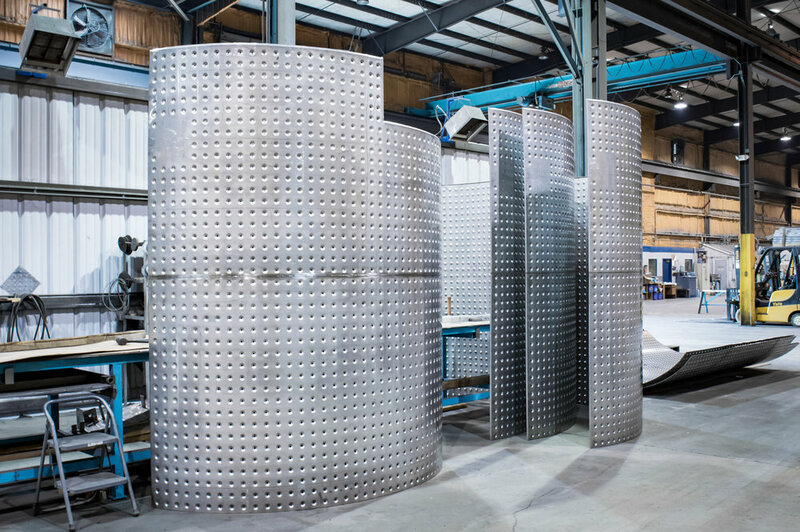 CMPI provided mechanical dimple jackets are sheets of metal with equally spaced depressions, or dimples, pressed into the metal to provide contact points for welding to a base, such as a tank or pressure vessel. We can easily attach dimple sheets to the outside of your fabrications to optimize media flow. This pressure directs cooling water or steam and allows for optimal heat transfer to control the temperature of your tank. CMPI's affordable and high quality work extends your tank's lifespan and improves your bottom line. CMPI dimple jacket layouts and thicknesses vary based on customer requested pressure rating requirements. 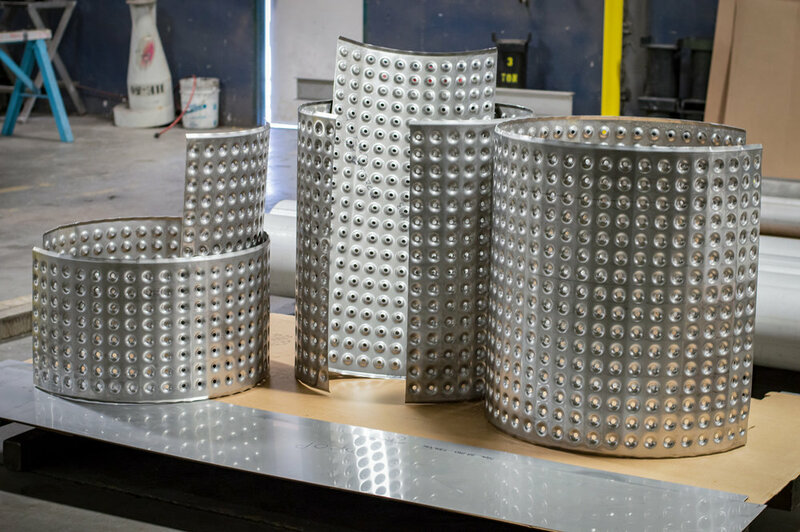 We offer eight styles of dimple jacket with varying hole diameters, depths, and spacing, to meet the pressure requirements that our customers specify. We supply dimple in the flat as sheets or cutout shapes, dished or rolled to fit for customer to install. We also provide full fabrication services of dimple jacketed pressure vessels and tank components. 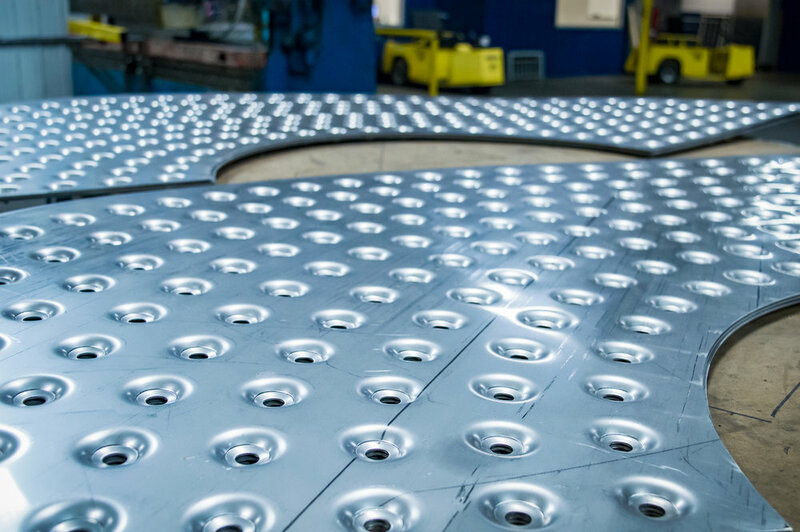 Supply your own material, fabrications, and drawings, or allow us to provide the metal and processing, at a great price. All applicable materials we provide have MTR's (Material Test Reports) on file. 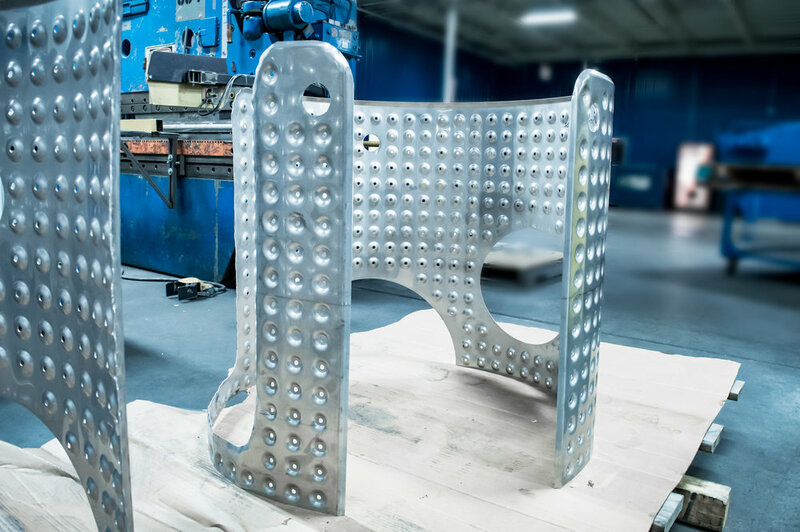 As necessary, our materials and workmanship are in compliance with ASME and AWS guidelines. Disclaimer: CMPI does not accept nor imply responsibility for design and performance of Heat Transfer Surfaces.